Staff at Anchor’s Birkenhead Court care home in Challis Street, Bidston, were celebrating this week after receiving the accolade. 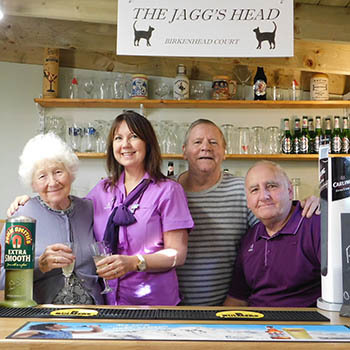 The care home is the sixth Anchor-run home which is classed as Outstanding, making it the provider with the most outstanding-rated care homes compared to all providers across the country. 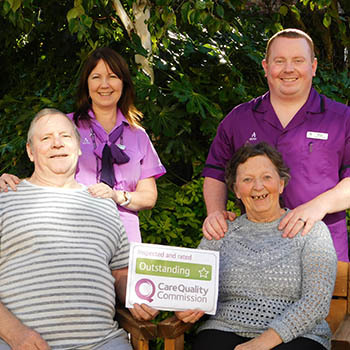 Birkenhead Court was praised by the CQC under their new robust inspection process which now rates care homes as either outstanding, good, requiring improvement or inadequate. Home Manager Mary Hardy said everyone at the home was thrilled because they had worked so hard to maintain high standards of care. She said: “We all know Anchor’s Birkenhead Court is a great place for older people to live but to be given such praise from the regulator is outstanding. For more information on Anchor’s Birkenhead Court, contact 0151 652 0250.